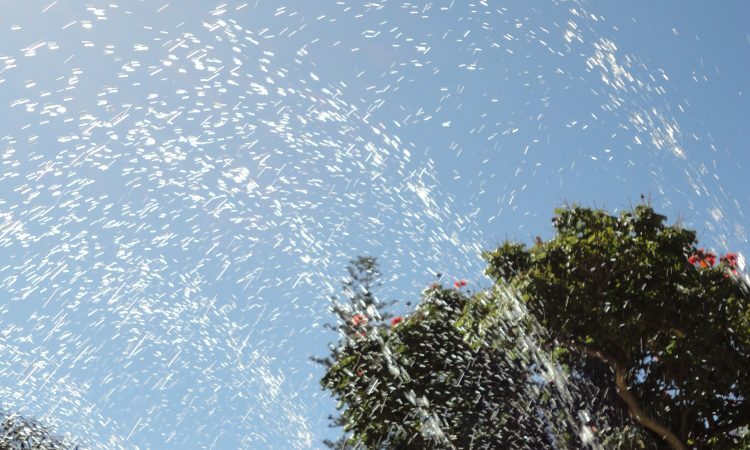 These researchers have uncovered the mechanism through which water passes protons, or hydrogen atoms, through the bulk liquid. This is key in our understanding of water, which is vital for living creatures, specifically in our understanding of how water behaves as an acid and a base. The ability for water to transfer charge allows it maintain the pH of our body even under changing conditions, as well as move ions and nutrients across cell membranes. A molecule of water is shown in Figure 1. 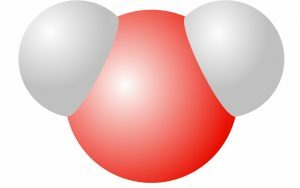 Figure 1: A single water molecule. The white represents protons (hydrogen) while the red represents oxygen. The hydrogens have a slight positive charge while the oxygens have a slight negative charge. Many researchers have worked to understand water, but this study is the first to demonstrate why the hydronium ion is able to move much more quickly than the hydroxide ion. To study this question, the researchers use density functional theory (DFT) to create a system of equations in a model for the electronic structures of the species in water. This allows them to model the energy distributions of different states of the system and discover that the most favorable state involves the transfer of the hydronium proton through many water molecules, while the hydroxide cannot do the same. They term the passing of a proton by hydronium ions “concerted jumps” because they occur rapidly, frequently, and allow for the positive charge to be transferred over long distances within the water. The use of DFT also allows the researchers to determine that the different electronic structures of the hydronium and hydroxide ions results in the different behavior in bulk water. In order to understand this they had to solve the overall hydrogen bonding network of the water with respect to each ion. Through this they found that the structure was vastly different for each type of ion and neutral water. This new understanding of the nature of water will help scientists create better models for solvation, acid-base chemistry, and even help us understand how water moves in and out of the cells in our body. Water is vital for all life function and so it is crucial we understand its complicated dynamics at the molecular level.